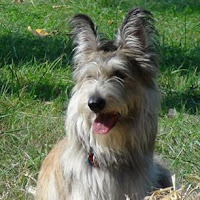 The Berger Picard (pronounced ‘Bare-zhay Pee-carr’) also known as the Picardy Shepherd, is considered to be France’s oldest sheepdog. In fact, its scraggly, mutt-like appearance hides a rich and storied history that dates back to the 9th century. It is a medium-sized, well-muscled dog with a slightly elongated body. Its ears are pointy and erect, and its eyebrows are bushy, but not excessively so that they cover the dog’s eyes. The Berger Picard’s outer coat is rough and scraggly to the touch and covers a soft, dense undercoat. The breed’s appearance in the film catapulted it to, well, not stardom, but it did put it on the path to American citizenship. In the nine years since the movie’s release, fans of the Picard imported dogs for themselves, formed a breed club, and began breeding and exhibiting the dogs. The Berger Picard achieved AKC recognition in 2015. 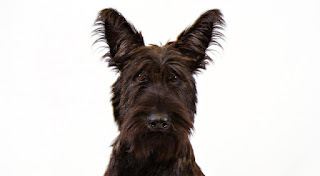 If the Picard looks familiar and you haven't watched "Winn-Dixie," it may be because you've seen the breed in the Animal Planet show “Treehouse Masters,” the movies “Daniel and the Superdogs” or “Are We Done Yet?” or in J. Crew advertisements or a Verizon commercial. These active dogs tend to have lots of stamina. Once you get the go-ahead from your veterinarian, this dog may be the ideal companion for jogging, hiking or running alongside your bicycle. Many love to swim and can hardly be dragged out of the water. At a minimum, the Berger Picard needs several brisk walks daily. He does have an "off switch," though, and will lie quietly in the house once you’re back from your outing. Berger is the French word for shepherd, and Picardy is the region in France where the breed originated. One of the Picard’s distinctive characteristics is his J-shaped tail, reminiscent of a shepherd’s crook. Picard puppies typically go to their new homes at 12 weeks of age, but breeders may place them earlier depending on the individual puppy and family situation. 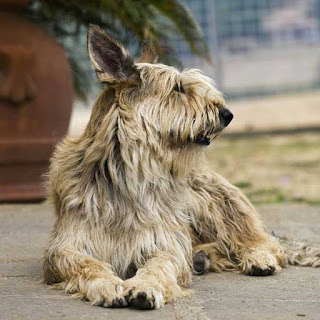 The Berger Picard’s coat may be fawn or brindle. Some fawn-colored dogs have charcoal-gray trim on the outer edges of the ears and gray shading, or underlay, on the head and body. Brindle dogs can be any base color, ranging from light gray or fawn to black, with stripes or small patches of black, brown, red, gray or fawn. 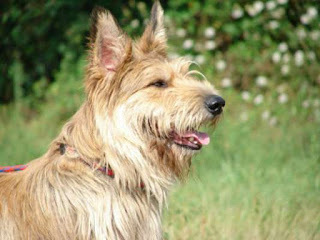 A woodcut of a Berger Picard. Using the Internet, she tracked down a breeder in France and flew there in September 2005 to pick up her new dog. Almost as soon as she arrived home, she realized she needed a second one because her three sons monopolized the new puppy. That was the beginning of the breed’s formal history in this country. Although some Picards had been imported earlier, no one had ever made a successful effort to establish them here. But long before the Picard immigrated to America, he herded sheep in northern France and is thought to be the oldest of the French sheepdogs. The concept of pure breeds didn’t exist until the mid-19th century, but dogs resembling the Picard have been depicted for centuries in tapestries, engravings and woodcuts. The Berger Picard made an appearance in a French dog show in 1863 and participated in herding trials but was not especially popular. The French Shepherd Club did not officially recognize the breed until 1925. The American Kennel Club began registering the breed with its Foundation Stock Service in 2007 and recognized the Picard as a member of the Herding Group in July 2015. Many of the dogs did not survive the ravages of two World Wars and approached extinction, but dog lovers in the 1950s worked to bring them back. Picards are now found not only in their native France but also in other European countries, Canada and the United States. 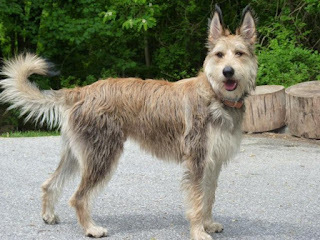 The Berger Picard's attributes include a lively, intelligent personality and a sensitive and assertive disposition that responds quickly to obedience training. By and large, Picards are laid back and mellow but they are known for having a stubborn streak and being reserved towards strangers. They require a lot of socialization during the first two years of their lives. Picards are energetic and hard working, alert and are not excessive barkers. Some Picards are notoriously picky eaters, and it may be difficult to decide on a diet that you and the dog agree on. The breed also has a well-developed sense of humor, making them an endearing companion, and they continue to be used very effectively as both sheep and cattle herder in their native land and elsewhere. Like many herding breeds, Picards require human companionship and lots of it. Since they can be demonstrative to their owners and enthusiastic friends towards other animals, formal obedience training and plenty of positive socialization is a must. Athletic, loyal and filled with a desire to work a long day, the breed excels in any "job" as long as enthusiasm and praise is a part of the task. 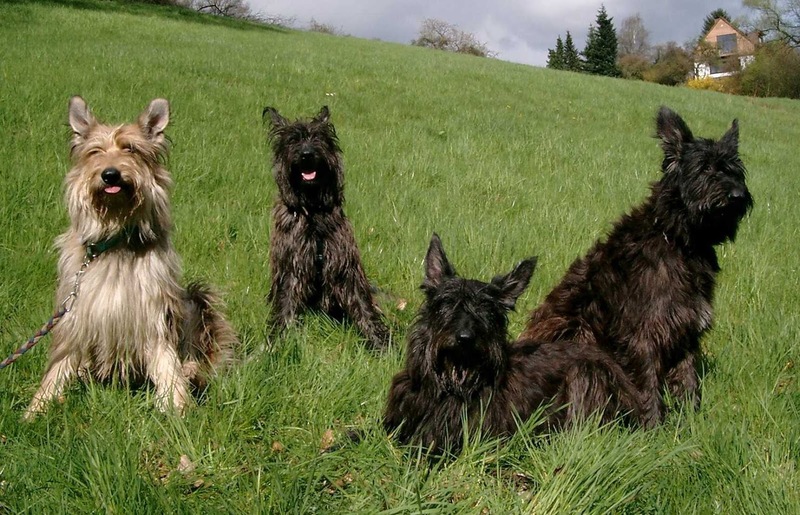 Berger Picards are generally a very healthy breed of dog. They can sometimes have problems with hip dysplasia. Certain hereditary ailments such as progressive retina atrophy and retinal dysplasia can occur in certain lines. The breed's life expectancy is 12 to 14 years. Despite being able and ready to work outdoors, Picards can do surprisingly well in city life provided they are given enough energy-releasing exercise. However, the Picard always tries to stay close to its owner and family, so when given a choice between being alone in a big yard or inside with its master the Picard would rather be with his "shepherd." Inside the house the Picard is usually a very quiet dog, waiting for its time to go out to run, play and sniff around. They are very loyal and enjoy a lot of attention and may suffer from separation anxiety . This is not a breed created to live outside year round. They lack the layer of body fat that even a lean Livestock Guardian Dog has and their coat is not dense enough to withstand fridge winter conditions of many areas. Like most other shepherding breeds Berger Picards are highly intelligent and responsive to obedience training. However, they can be willful and stubborn when faced with a lack of leadership. Therefore it is important that owners display a calm and assertive style of leadership consistently. Bred to work the fields, Picards are very athletic and revel in exercise. A good deal of exercise is therefore a must for this breed. Otherwise boredom will give way to destructive behavior and rowdy play. They enjoy swimming, running beside a bike, and nice long walks. The Berger Picard makes an excellent jogging companion. The breed's intelligence and sensitivity have made it increasingly popular in dog sports such as agility trials, Tracking, obedience, showmanship, Schutzhund, Flyball, Lure coursing, French Ring Sport and herding events. Herding instincts and trainability can be measured at noncompetitive herding tests. Berger Picards exhibiting basic herding instincts can be trained to compete in herding trials. Even a shaggy dog needs grooming. Brush the coat weekly to keep it clean and remove dead hair. You’ll need a coat rake to remove the undercoat during the twice-yearly shedding seasons in the spring and fall. 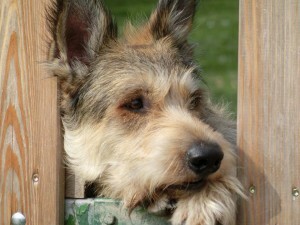 Ask your dog’s breeder to show you how to pluck or strip the long hair edging the ears. Frequent baths aren’t necessary unless you show your dog, but if you have a water-loving Picard, give him a thorough freshwater rinse to remove chlorine, algae or salt after a dip in the pool, lake or ocean. When you bathe him, use a dog shampoo formulated for a harsh coat. The rest is basic care. Trim the nails every week or two, and brush the teeth often — with a vet-approved pet toothpaste — for good overall health and fresh breath. Is the Berger Picard the Right Breed for you? Moderate Maintenance: Regular grooming is required to keep its fur in good shape. Little to no trimming or stripping needed. 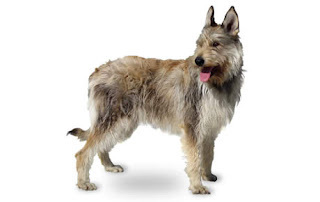 Moderately Easy Training: The Berger Picard is average when it comes to training. Results will come gradually. The Picard has large, naturally upright ears. The ears may droop while a puppy is teething, but they will regain their erect appearance once the permanent teeth are in. 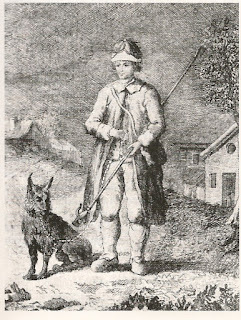 Sheepdogs resembling Berger Picards have been depicted for centuries in tapestries, engravings and woodcuts. 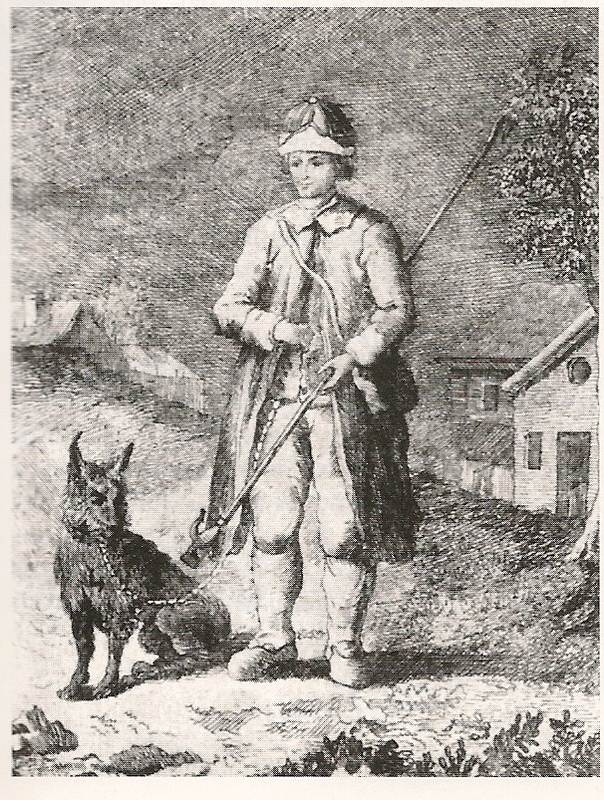 One renowned painting, in the Bergerie Nationale at Rambouillet, the National Sheepfold of France, dating to the start of the 19th century, shows the 1st Master Shepherd, Clément Delorme, in the company of a medium-sized, strong-boned dog with mid-length crisp coat and naturally upright ears, resembling in many ways a Berger Picard of today. The first Berger Picards were shown together in the same class with Beaucerons and Briards in 1863 but it was more than 50 years later in 1925 that the Picard was officially recognized as a breed in France. Berger Picards, with their crisp coats, were reportedly used to smuggle tobacco and matches across the Franco-Belgian border. The tobacco would be put in goatskin pouches, hairy side up, and attached to the dog's shaven back. From a distance, dogs carrying such loads would not draw attention, particularly at dusk or at night. Berger Picards can be seen in at least three movies: Daniel and the Superdogs (2004); Because of Winn-Dixie (2005); and Are We Done Yet? (2007). 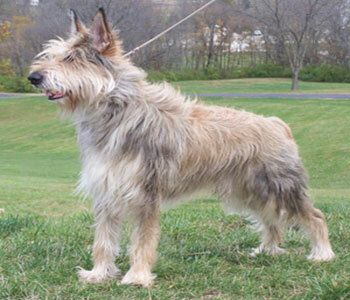 Picards are often mistaken for another canine actor, the wire haired Portuguese Podengo Medio. In 2012, BPCA member and Picard owner Christina Potter wrote a book, Chester Gigolo: Diary of a Dog Star (Aperture Press), based on her weekly blog about the antics of her Picard Chester's life and ambitions. Chester has appeared in advertisements for The Company Store, J. Crew, and Verizon. Potter donates 10% of royalties to Picard DNA collection and health projects.